The day we’ve been waiting for; the Fitzroy-ACU Women’s sides are front and centre at Brunswick Street Oval tomorrow and we’re encouraging everyone to get down and support them in a big clash against rivals SKOB Saints. 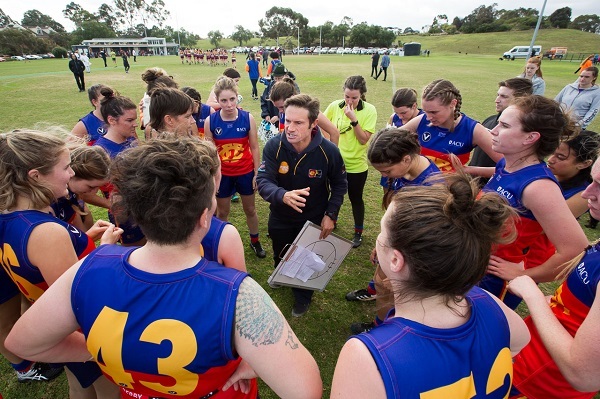 Both Fitzroy teams will be very keen to bounce back strongly from defeats at the hands of the tough Marcellin sides, who have been one of the clubs to set the standard in Premier Women’s competition this year. The Reserves are bound to get back on track with the motivation of a potential first finals appearance ahead of them. Marcellin’s Reserves side is on top of the ladder and has one hell of a defensive set up, keeping Kew and Caufield completely scoreless in recent weeks, whilst posting high scores themselves. Fitzroy-ACU couldn’t crack it for a goal either; while the score line of 7.13.55 to 0.2.2 was a disappointment it was perhaps not reflective of a closer contest in general play. Teresa Zampaglione, Emily Fitt and Jess Ashcroft were the better players, with Zampaglione earning a call up to the Seniors this week. In spite of the first loss in many weeks, the Reserves are still two games clear in fourth position. They face their nearest competitor for that final four spot, St Kevin’s Saints tomorrow and will need to be back to their best to lock a finals spot in. Get to Brunswick Street at 12 tomorrow to help cheer them on. 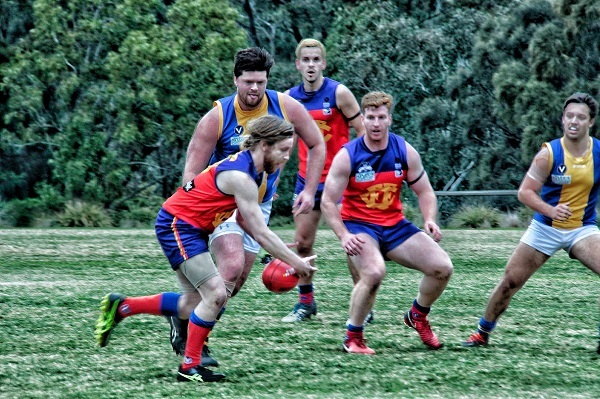 In the Seniors, it looks very unlikely Fitzroy-ACU can bridge the gap from sixth to fourth in the remaining four games of the season after going down to Marcellin by 24 points on Saturday. Despite Fitzroy not scoring in the first half, the game was still there to be won at half time, with the home side having posted 2.4.16 to the main break. But again the Marcellin defence just proved too strong. 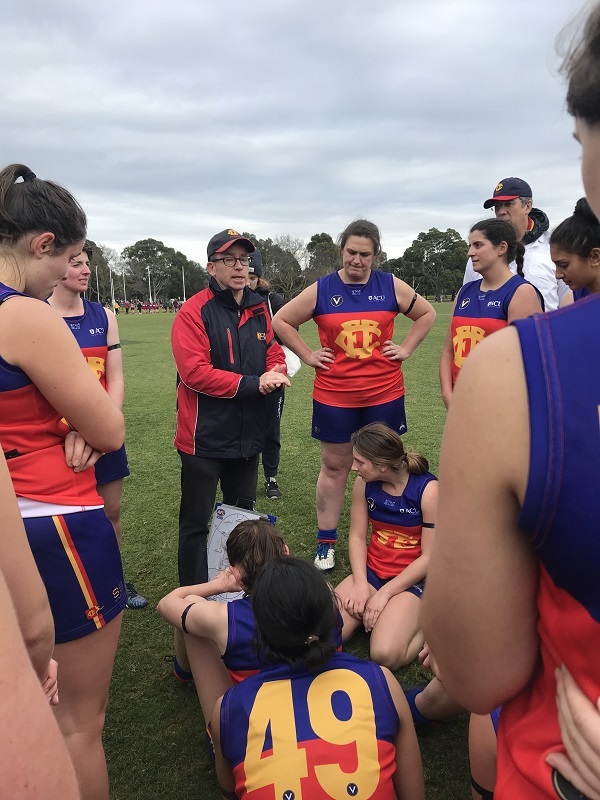 Alexa Madden kicked Fitzroy-ACU’s only goal in the third quarter and Jess Hayes and Emma Delaney worked incredibly hard for the visitors on a day that kept the Fitzroy trainer very busy. Both Fitzroy teams were cruelled with some late changes, with illness the main issue and the Senior side definitely felt the absence of Bethany West and her ruck work and height around the ground. Lauren Atkinson, however, used her height to great effect and was Fitzroy’s best for the day. For tomorrow’s Senior game against SKOB Saints, Hannah Coffey (sick) and Luci Murphy (injured) are welcome returns to the side and Bridie Murphy, who was a late call up from the Reserves last week, maintains her spot having looked quite at home in the Ones. Please note: there will be a canteen open tomorrow at BSO with sausages, Kranskies and coffee available, but the Community Rooms will not be open. The post match will be at the Fitzroy Victoria Bowling and Sports Club. Fitzroy held on for a four point win over a fast-finishing Old Geelong keen to make up for an early season loss and put pressure on the Roys’ ladder position. Those who ventured to Como Park on Saturday for the second vs third clash in Premier C - and there was a strong contingent of Roy fans – took some time to calm their heart rates after the final siren, after a near four-goal lead early in the final quarter was reduce to four points. In the face of a strong comeback by the home side, Fitzroy’s effort to hold on was outstanding, given the loss of key forward and backline players, leaving limited rotations on a very heavy track. There were moments of individual and team brilliance which are definitely worth another look at the video. You can see the highlights on the Risk Care Roundup video below. Max Ellis’s intercept mark, Ted Clayton everywhere in the final quarter, Tom Biscaro’s last line of defence, and just the pressure and effort of Sammy Baker all day long. Biscaro, Rory Angiolella and T. Clayton were named best players for Fitzroy in another even performance. The final score was 11.10.76 to 11.14.80. Baker finished with three goals and Lachie Henderson relished his opportunity back in the senior side with two, after a heavy head knock early in the game. Nathan Jumeau also kicked two goals in an even spread of scorers. The win gives the Seniors some breathing space over third place on the ladder, but there will be no complacency as Marcellin will be pushing hard to stay in touch with the top four and the win over Old Geelong also came at a price. Injuries to two key position players Nathan Jumeau and Tom Biscaro, are a blow. Biscaro looks set for an extended stay on the sidelines with a significant hamstring injury as a result of some desperate play which helped save the game for Fitzroy. We wish him all the best with his recovery. There will be significant change to the senior side this week with a combination of injuries and absences forcing six changes to the side and some inventive positional play will be required against the side that pushed us all the way at Brunswick Street earlier in the season. On top of the injuries, the brothers Clayton and Wright will all be away this week. The outs provide a great opportunity for some players who have been performing strongly in the Ressies side and for two of our TAC Cup players, Sunny Brazier and Jack Hart, who impressed with earlier outings this season. James Butler, Gus Richardson, Martin Deasey and Cailean Moore will also step up tomorrow having been named in the best last week. The Reserves also have a couple of ‘handy ins’ despite the significant pull on their resources this week. Their magnificent 10 game winning streak came to a frustrating end last Saturday, with poor kicking costing them dearly. The final score was 9.5.59 to 5.19.49. Old Geelong had scored six goals before Fitzroy came out of the blocks and despite being the dominant side for much of the second half, Fitzroy could not capitalise on many opportunities. Old Geelong also used the ground better, avoiding the mud pit in the middle. Marcellin sits in fourth spot and is likely to be one of the sides Fitzroy will face in finals, so this is a good test of where both sides are at. The Wills – Pickering and Fenton – are back out on the park tomorrow with the Reserves and bring a wealth of experience and talent, although you can expect them to be a little rusty. Will Pickering is back from injury and Will Fenton is playing his first game of the season. Congratulations to Angus Ryan who plays his 50th game tomorrow. 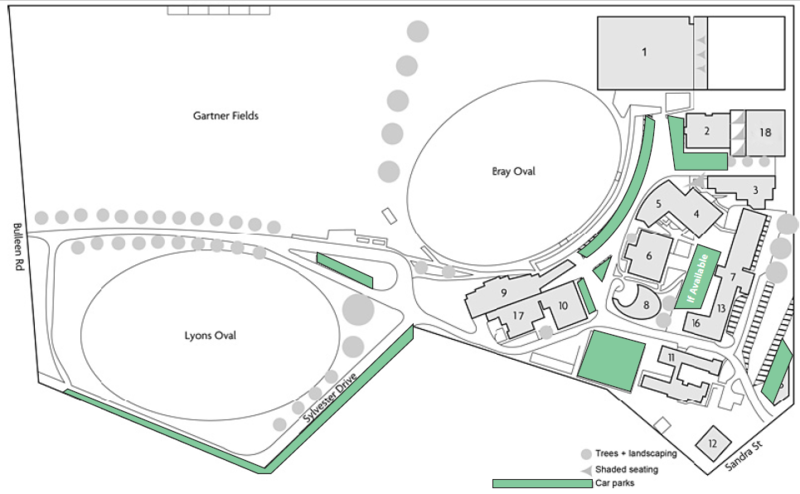 Those travelling to the game tomorrow will need to think about how they get there and where to park. All four Marcellin sides are at home and parking is limited. Please arrive early or leave the car at home. The coach described it as the good, the bad and the ugly, and the Fitzroy Under 19s side certainly learnt a lot from Saturday’s defeat at the hands of second side Williamstown CYMS. The Roy Boys shot out to an excellent lead at half time – 4.4.28 to 1.4.10 – but the third quarter saw a sharp reversal of fortune. Williamstown scored six goals to nil in the third quarter and went on with it from there. The final score was 12.7.79 to 5.6.36. 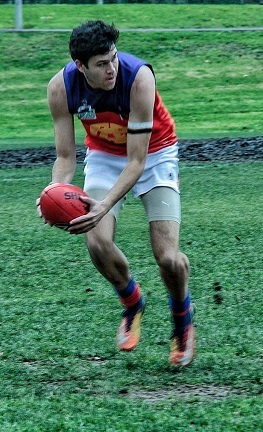 John Jorgenson was again strong in front of goal with two and is running third in the Under 19s goal kicking, with 35 for the season so far and just five behind the leader. Go John! Miles Nelson and Jack Hart played good games. 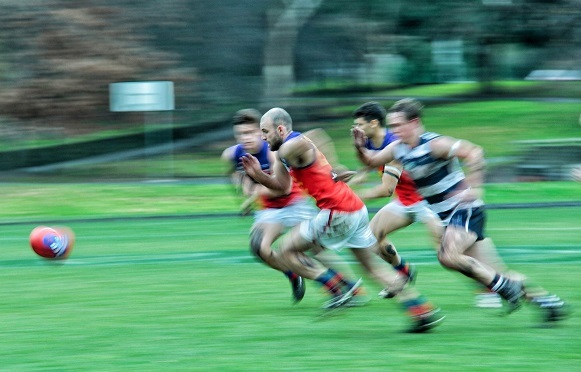 Having succumbed to the top side De LA Salle last weekend, slipping just out of the four on percentage, the Fitzroy Thirds face another big test this weekend against second placed Old Trinity. Their rival for the fourth position, Williamstown CYMS faces De La, which may prove useful. Coming off some excellent form, the Fitzroy boys had a first half they would like to forget, failing to score while De LA Salle ran off to a six goal lead. Fitzroy won the second half but were always kept at bay with the top side taking the points 11.6.72 to 7.5.47. Trent Carpenter, Simon Heather and Ezra Darby worked very hard throughout the day and Owain Dunn and James Howes scored two goals each. Check out some of this week's highlights in the Fitzroy FC Risk Care Roundup. Fitzroy’s annual raffle has just gone on sale and with the full finals series tickets (courtesy of the Brisbane Lions) on offer and a selling price of just $5 a ticket, you’d better get in quickly. ALL Fitzroy players in all six teams will have books of tickets to sell so track down your favourite player and put down your vital details. The second prize is one of Louise Maniatakis’s magnificent Fitzroy inspired quilts and if you’re a fan of the Fitzroy of old, this quilt (pictured) has plenty of interest. 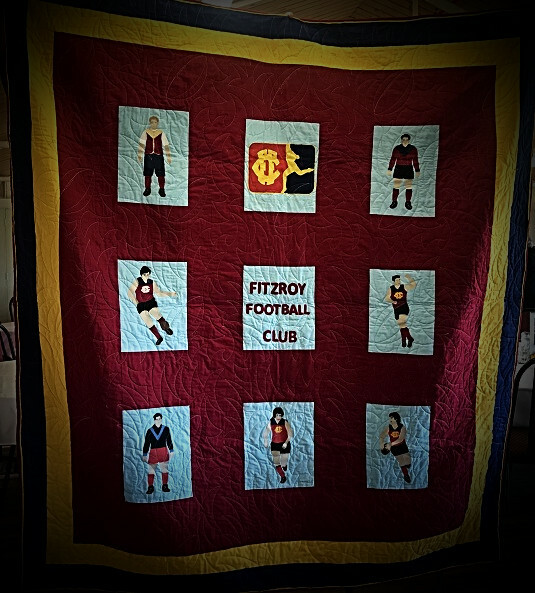 The stitching detail alone makes this a valuable prize for any Fitzroy fan. Third prize is from Caltex and is petrol to the value of $300. Tickets will be on sale this week and the raffle will be drawn at the post match function at Brunswick Street Oval after the Senior men play their final home and away game on Saturday 25 August. Premier Dan Andrews took questions without notice at last year's lunch. 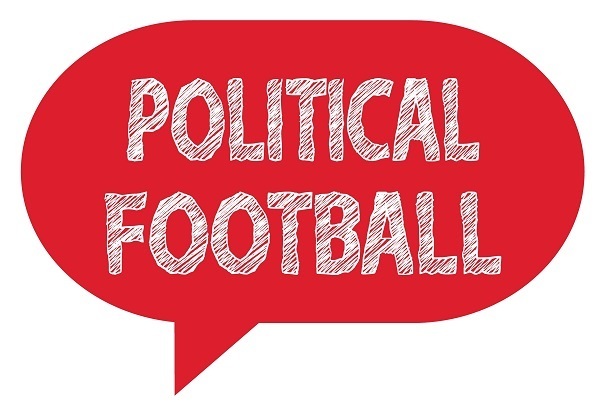 Peter Hille says this year politicians and political commentators will look at upcoming elections, East West erections and party defections. Speakers and panellists will be advised shortly. You can book online now. 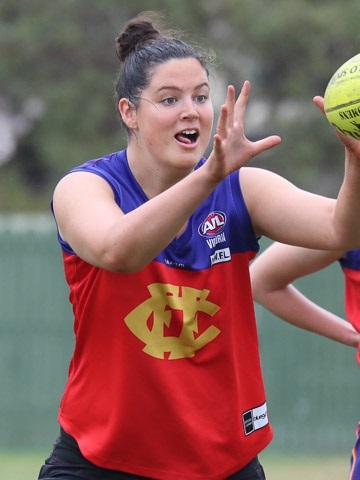 Congratulations to Fitzroy-ACU senior player, Sarah King (pictured), who is making her debut for Collingwood’s VWFL side this weekend in Darwin against the NT Thunder. She will be joining Hilary Grubb, who is part of the leadership group with the Pies, and Paige Nash, who is also registered with Fitzroy. There has been more positive coverage this week for Nino Lazzaro and Ash Riddell, who are making a name for themselves in the VFL and VFLW respectively. Check out this recent article about Nino’s first game experience with the Bombers in the VFL. He was part of the winning side last weekend when Essendon defeated the Box Hill Hawks. 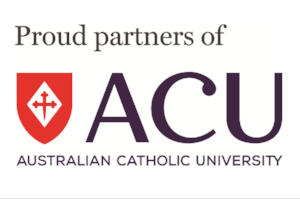 Meanwhile, former Fitzroy-ACU Best and Fairest, Ash is the captain of Melbourne Uni this year and is set to be part of North Melbourne’s inaugural AFLW side. In this video with some of Ash’s highlights, her coach Scott Gowans talks about her strengths and her rapid rise based on hard work. There are sure to be other Roy boys and girls making headlines soon. And a special mention to Lex Madden who was spotted during the week on a TV advertisement with Jennifer Keyte and her VFLW Bomber teammates, promoting the club. 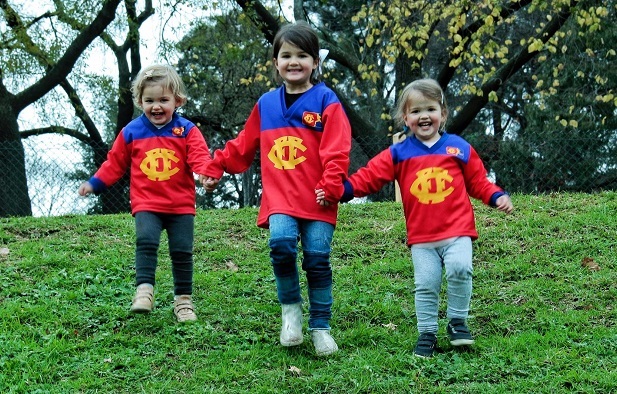 Generation next of the Fitzroy-ACU side may well feature some Father-daughter recruitment. It’s always hard for the former ‘Roys to tear themselves away and there has been some very cute visitors recently, including the new Beech baby. Former Ressies captain Jack Beech and his wife, Olivia, brought baby Rafaella for her first visit to Brunswick street at just three weeks of age and she was presented to with a very special gift. 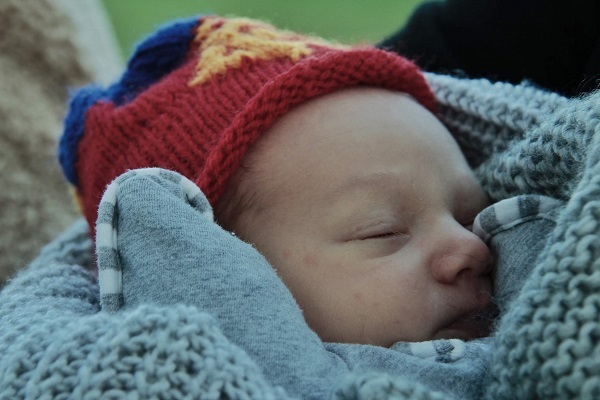 Mia Sutherland, who is the runner and all round super support person of the Fitzroy-ACU Seniors side, has also taken up an extra voluntary role; knitting beanies. Have you ever seen anything as beautiful and small as that tiny Fitzroy beanie with her father’s number 7 knitted into the pattern? The baby’s alright too. And just slightly bigger were the three O’Reilly girls, who popped in to take a look at how Fitzroy was faring against old Geelong. They left no one in any doubt about which team they were backing. Dad, Jimmy, was captain in the final year of the Fitzroy Reds and then for three years after the merger in 2008 and a great champion of the club. Calling all past and present FJFC players and families…. We’re coming up to the Juniors’ night of nights and they’d love your support. Their biggest social event for the season promises to be even bigger as the Club celebrates its 25th Anniversary this year. 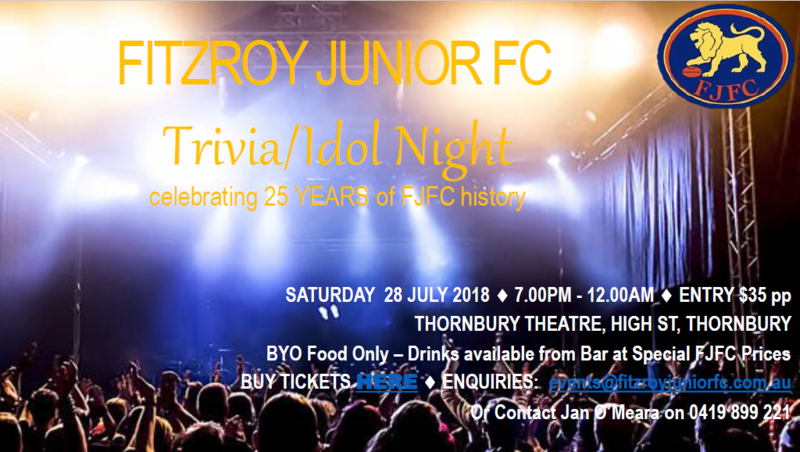 The night consists of a little bit of trivia to get the ball rolling, then it’s time for Fitzroy Idol at the Thornbury Theatre on 28 July! 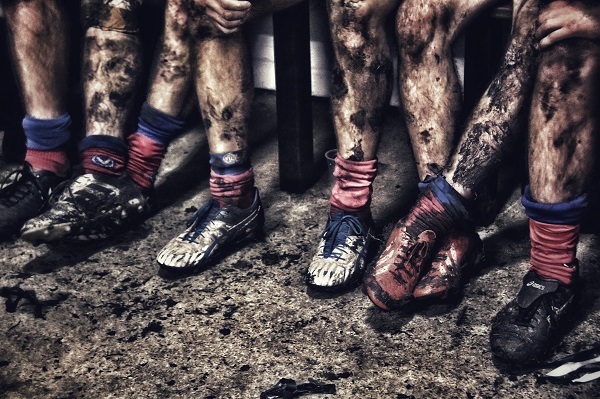 Old Carey vs Fitzroy U19s – Holmesglen U19 Section 2 – Carey Sports Complex, 2.00pm, Saturday 30 June.